Item # 307516 Stash Points: 4,495 (?) This is the number of points you get in The Zumiez Stash for purchasing this item. Stash points are redeemable for exclusive rewards only available to Zumiez Stash members. To redeem your points check out the rewards catalog on thestash.zumiez.com. Give your summer looks a splash of subtle color and classic branding with the adidas Trefoil Dusty Pink One Piece Swimsuit. 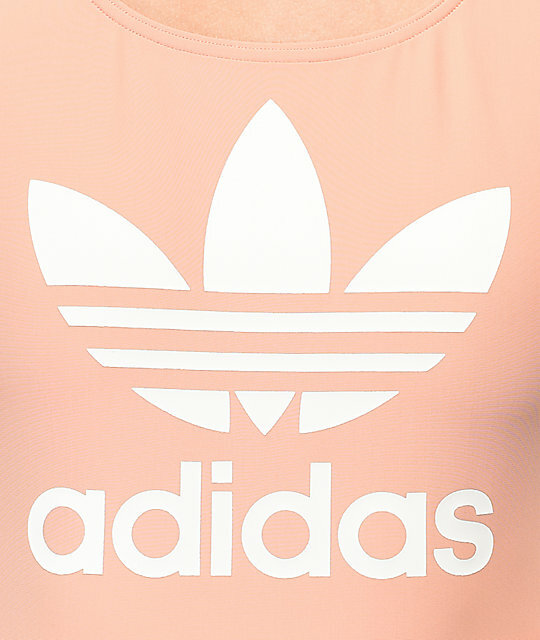 Constructed in a light pink color way for an edgy look, this one piece is most prominently highlighted by the large adidas Trefoil logo at the chest for striking flair. Finished with bust padding and an extremely stretchy construction to maximize comfort, this is sure to be your go to swim suit this summer. 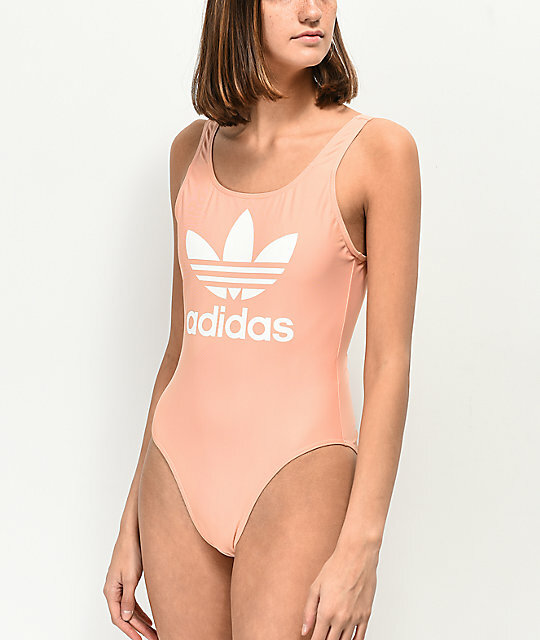 Trefoil Dusty Pink One Piece Swimsuit from adidas. Lined bust with removable soft cup pads.